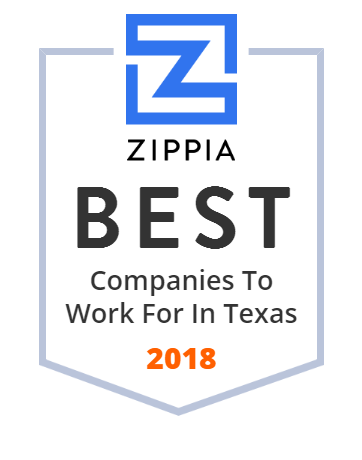 We hand-curated a list of the best companies to work for headquartered in and around Texas using data on salaries, company financial health, and employee diversity. The Howard Hughes Corporation (NYSE: HHC) is a major real estate development and management company based in Dallas, Texas. It began as part of the oil drilling tool business founded by Howard R. Hughes, Sr., in 1913, which under his son Howard Hughes, Jr., diversified into real estate development. The real estate operations became a separate company, which was acquired by The Rouse Company, which in turn was acquired by General Growth Properties (GGP). In 2010, GGP formed The Howard Hughes Corporation as a separate company. Galveston's Best FREE Apartment Locating Service, we specialize in Lofts, Private Properties and Home rentals. CyrusOne, Inc. is a real estate investment trust that invests in carrier-neutral data centers and provides colocation and peering services. It is headquartered in Dallas, Texas. American Campus Communities Inc. is a publicly-traded real estate investment trust that invests in dormitory housing. As of December 31, 2016, the company owned and/or managed 206 properties with approximately 134,100 beds, making it the largest private dormitory manager in the United States. The company owns and develops both off-campus and on-campus dormitories for universities that outsource the financial responsibility of dormitory construction and management. Milestone Apartments Real Estate Investment Trust focuses on acquiring and owning multifamily properties in the United States. It intends to acquire and manage 52-property portfolio of multifamily assets comprising 16,944 units located in the Southeast and Southwest United States. The company was founded in 2013 and is headquartered in Toronto, Canada. As of April 28, 2017, Milestone Apartments Real Estate Investment Trust operates as a subsidiary of Starwood Capital Group. Keller Williams Realty is an American technology and international real estate franchise with headquarters in Austin, Texas. Invitation Homes makes home rental easy and convenient. Explore our renovated houses for rent and apply today! Come see us! Goehrs Properties has been in business over 18 years in the San Jacinto County, Lake Livingston area, specializing in the premier community of Cape Royale.. along with many other Lake Livingston communities. The Rosewood Corporation owns several entities dedicated to Real Estate investments, oil exploration and production. We are based in Dallas, TX. "I feel like I hit the lottery because of what the Housing Authority of the City of Austin has done for me"
Mortgage Consultants Ltd. was the first Mortgage brokerage firm in Dallas in 1982. Low mortgage rates with no closing costs by shopping multiple local bankers for YOU! Stratus Properties is a Central Texas real estate development company known for the quality of the residential and commercial communities that it builds. Start your home search for Austin & San Antonio real estate at JBGoodwin.com. Our expert team loves to Help People. Get into your dream home today! Visit http://www.BoxerProperty.com/. A real estate investment company specializing in the development, turn-around, acquisition, management, and disposition of a variety of commercial properties including office, retail, mixed use, multi-family & land. PSW Real Estate builds new homes in Austin, Dallas, San Antonio and Seattle. Discover exceptional new home communities in Texas and Washington. Allegiance Title's Success is Dependent on the Pledge We Make Our Customers to always deliver the Residential, Commercial and Lender Title Services they deserve. San Antonio, Austin and Dallas, Texas based multi-family property management firm. We save homeowners money by helping you protest your property taxes and cutting your electricity cost. Yancey-Hausman Interests, Inc. - Commercial Real Estate Services for Office, Industrial, Retail, Land and Multifamily projects in Texas. Helotes TX Homes for Sale and Real Estate. The Horn Company specializes in Homes and Listings, representing both Home Buyers and Home Sellers. Capital Title's closing teams represent the most experienced and reliable residential and commercial escrow officers and assistants in the title industry today. HomeLand Properties is known for its vast revolving inventory of listings spanning across 40 counties in the greater East Texas area. Condos and homes for sale at Port Aransas Realty. MLS search for real estate in Port Aransas, Tx with detailed property listings, commercial and developments. Memorial City Mall is a large shopping mall in Houston, Texas, United States. Hunt Realty Investments serves as the centralized real estate investment management company for the Hunt entities and has been active in the real estate acquisition, ownership and investment business for more than 30 years. Bienvivir Senior Health Services, Inc. owns and operates healthcare facilities that provide a range of health and health-related services by using the program for all-inclusive care of the elderly (PACE) model to the frail elderly in the El Paso area. The company offers inpatient and outpatient medical care, specialty, and supportive services to elderly who have been assessed as frail and in need of skilled nursing care. Its services include assessment of participant s needs and development of a participant specific plan of care; day health care center services, including Alzheimer s care, primary care physicians, meals, recreational therapy, nursing care, social work services, occupational therapy, speech therapy, physical therapy, transportation, and prescription drugs; and additional services, such as assisted living, hospital care, durable medical equipment, medical specialties, outpatient services, home delivered meals, and in-home services. Bienvivir Senior Health Services, Inc. was founded in 1986 and is based in El Paso, Texas. We are a local, non-profit health plan serving El Paso & Hudspeth counties. Our bilingual team is dedicated to helping our members and providers. HomeVestors of America, Inc. is a privately owned U.S. real estate company that sells We Buy Ugly Houses franchises to investors. The franchisees provide real estate services by buying homes in need of repair and homes that owners need to sell more quickly than usually can be done through a realtor. Typically, HomeVestors franchisees then renovate and sell or rent them. Franchisees hold the homes they purchase for six months on average. The company operates in 45 states and growing. With over 800 franchises and growing. Parent company Franchise Brands LLC includes HomeVestors and the Subway sandwich restaurant franchise in its portfolio. SIMPSON PROPERTY GROUP (SPG) is a wholly owned subsidiary of SIMPSON HOUSING . Headquartered in Denver, CO, SPG is a fully integrated real estate firm providing services in multifamily & commercial property management, development & construction. Lubbockapartments.com is a website devoted to providing users with comprehensive listing of apartments, townhomes, duplexes and rent housing in Lubbock Texas.